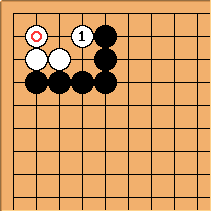 The black shape in this corner is called the L-group. 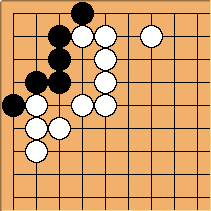 This shape is dead even if Black plays first. The proverb says: "The L-group is dead". here is killed by the placement at . Note that the result is a bulky five dead shape minus a stone at . 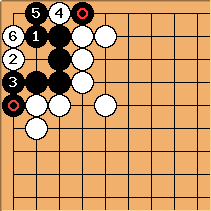 If occupies one of the 1-2 points, then occupies the vital point of the bulky five. 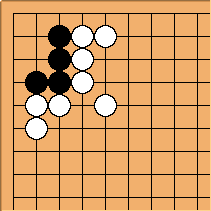 The other 1-2 point of looks like a good option to start with, but after , and the white stones form a three in a row and so Black has only one eye. If Black plays at , White will play at . Again Black has only one eye. White can capture the group with after and . It is a grave mistake to play before the black group is in atari. But as long as the surrounding group is not threatened these moves are better left unplayed. 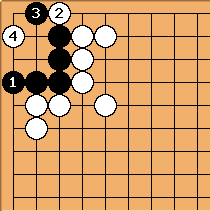 also seems a valid attempt, but with the vital point of , followed by the hane at , White kills Black again. If makes a descent to enlarge his eyespace as large as possible, then the hane can reduce the eyespace to a bulky five. If Black expands his eyespace from the other side, White's hane at turns it into a bulky five at best, and hits the vital point. Q: Really? 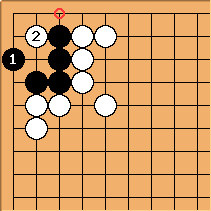 What about black's attempt 4 above? Herman: Although with the presence of the marked stones, captures , this only results in a false eye. 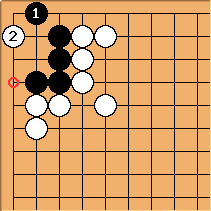 If black tries at instead, white will extend with at , and black's eye will be false. Knowing the L group, its status and the way in which it is killed, can be very useful to speed up your calculations of life and death in the corner. 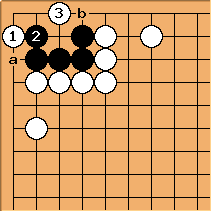 Several positions can be solved by realizing that they are somehow 'like an L group'. We used this strategy on the L+1 Group page to show that the L+1 groups are killed by a hane without needing further calculations, it can also be used for groups like this one: The shape that would be made if White plays here, is even less than an L group with one extra move at the marked stone, and so Black can be certain that he will be able to kill White after White plays at . For another example, take a look at the OD1P - Oct 16 Problem. Here is another example of how knowing the basic shapes can spectacularly increase the speed and accuracy of your analysis. Referring to this position in her book on the endgame, Ogawa Tomoko wrote on page 18: "The time had come to capture at . 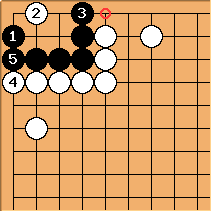 In terms of the left edge alone, this move was worth sixteen points. It gave White additional profit on the upper edge by making White a sente." 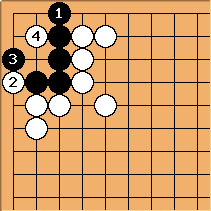 For somebody who doesn't know the L group, it would take a fair amount of time to consider the various follow-up moves in this area to the endgame capture at . However with the knowledge of this basic shape readily available in your head, this is a 5 second analysis. takes away an option for the black corner group by capturing on the left side. What's left in the corner would be a dead L group if White had both a and b. 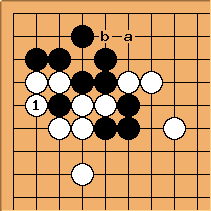 This means that White a is sente, as Black must answer at b. Should the L-group get involved in a capturing race, and is a well-known method of maximizing the liberties of the L-group itself. 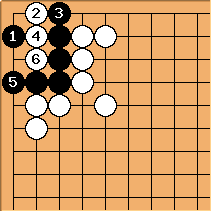 After , the L-group has eight liberties (seven from the bulky five and one from the point).